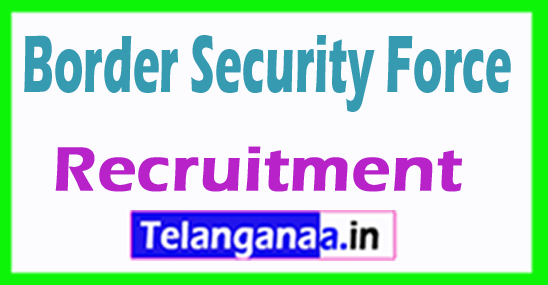 The Border Security Force has published a job advertisement through BSF Recruitment to inform qualified and targeted job seekers of Constables 207 vacancies. Eligible jobseekers can apply for the BSF vacancy notice by completing the offline application form before 23 July 2018. Compulsory Qualification: Jobseekers should have completed a tenth / ITI education with good academic records from a board / university / institute well-accredited according to the applied publications. Candidates SC / ST / Ex-S / Women are exempt from paying the application fee. Applicants who wish to apply for one of the above positions must be between the ages of 18 and 25, as on 23.07.2018. Emoluments: Successfully employed applicants against this recruitment receive a salary of Rs. 21,700 - 69,100 / - the recruitment organization. A written test, a physical standard test, a physical efficiency and documentation test, a technical / practical / tradable aptitude test, a medical examination will be conducted by the Border Security Force to select candidates for the above publications. Jobseekers are interested in applying for the above positions, first they must visit the official website http://www.bsf.nic.in. Once the application form has been completed correctly, applicants should send the completed application form to the mailing address below. The deadline for the acceptance of the application forms: 23.07.2018. Selection Process : Selection might be primarily based on Written Test/ interview. For Gen/OBC 400/- Pay Examination charge through IPO/Demand Draft in favour of Commandant ninety five Bn BSF payable at SBI Badshapur OR Post Office Bhondsi (HR).